Define what Chatter is and how it can be useful in a contact center environment. Describe the role collaboration plays in contact center productivity. Creating opportunities for engagement and collaboration across teams in the contact center is no easy feat. With everyone busy addressing customer concerns, it can be hard to find time for coworkers to share all the experience and knowledge they’ve gained on the job. In this unit, you learn how Chatter brings service teams closer and boosts productivity by enabling sharing and collaboration. Chatter is an enterprise collaboration platform that helps businesses drive productivity, accelerate innovation, share knowledge, and take action anywhere. 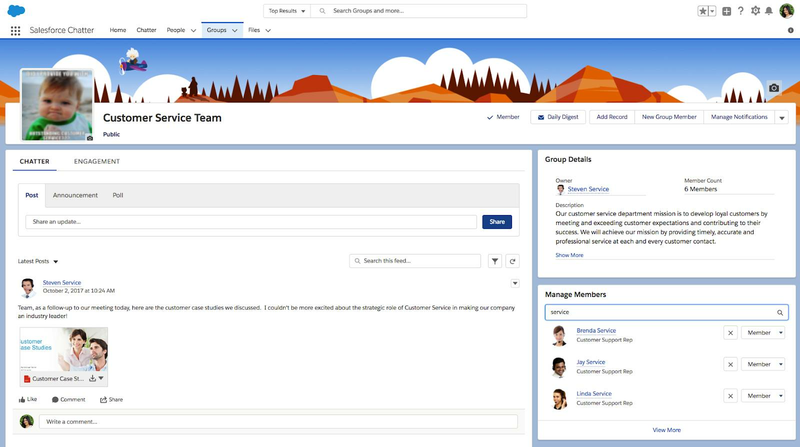 This easy-to-use Salesforce offering works like a social media platform just for you and your coworkers. Using Chatter is easy. Here are a few useful tips to help you find your footing. Fill out your profile. Upload a photo and put a face to a name. Click to update your About and Contact information. Include your department, areas of expertise, and other professional details. Join or create groups. In Groups, browse through the groups your colleagues have created and join the ones that match your interests. Start your own group by clicking New Group. Follow relevant people and data. Click People to find colleagues. You can follow records like accounts, contacts, opportunities, cases, or custom objects. Clicking Follow makes it easy. Post your first status update. In the text box at the top of the home or profile page, type a short sentence or two about what you’re working on. You can even attach a relevant link, document, or photo. Participate—ask and answer questions and share information. Post general news rather than send a low-priority email. Think about your posts (anyone following you can see your posts). 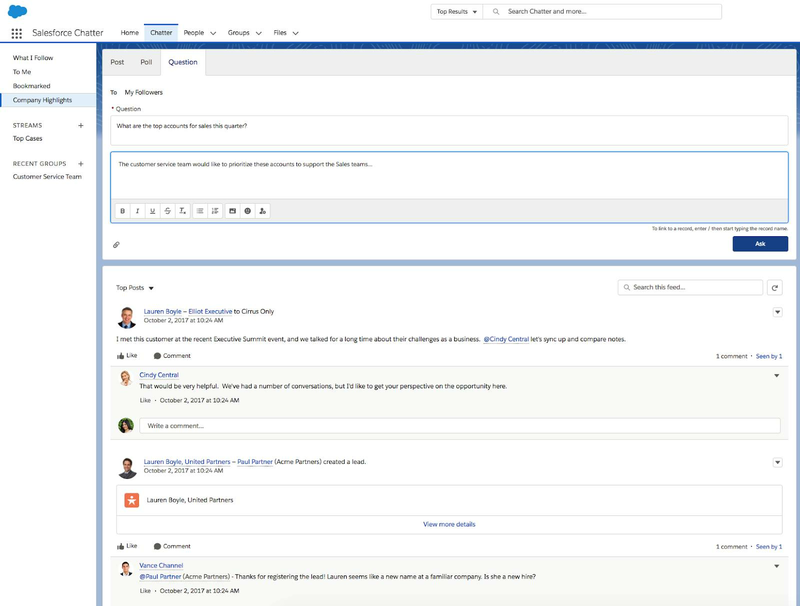 Chatter enables new ways for collaboration to happen in the contact center. To give you an idea of how it can work in the real world, here are some common use cases. Unite global support teams. An outsourced Tier-1 team member with a difficult case can pose questions to a Chatter skills group and quickly collaborate with a Tier-2 member at headquarters who has a similar case. Collaborate for customer success. An agent can post that a customer would benefit from additional tools. The sales team can see the status update and get an idea for upselling the customer when their contract comes up for renewal. Get feedback to product development. Frontline customer service teams can tell R&D exactly what the field is saying. The product team can get ideas for new features that customers want, just as they’re realizing they want them. Keep track of customer support cases. The sales team can follow customers’ support cases to make sure they’re happy and provide additional ideas to help service solve problems. Escalate cases for immediate help. An agent can change a case to critical status so the right people see it on Salesforce Chatter and swarm to respond. Using hashtags in Chatter is easy. To add a hashtag, type # followed by any text. As you type, you can pick a hashtag from the list of suggestions, or press Enter at any time to add a new topic that can be up to three words. Add hashtag topics to posts and comments to organize them or to increase their visibility. For example, if you post that you're working on a case for your customer Universal Paper, you might want to add the hashtag #UniversalPaper in your update to tie it to other posts on that same topic. Anyone can click the hashtag to find out more information about Universal Paper and to see which people and groups are talking about Universal Paper. 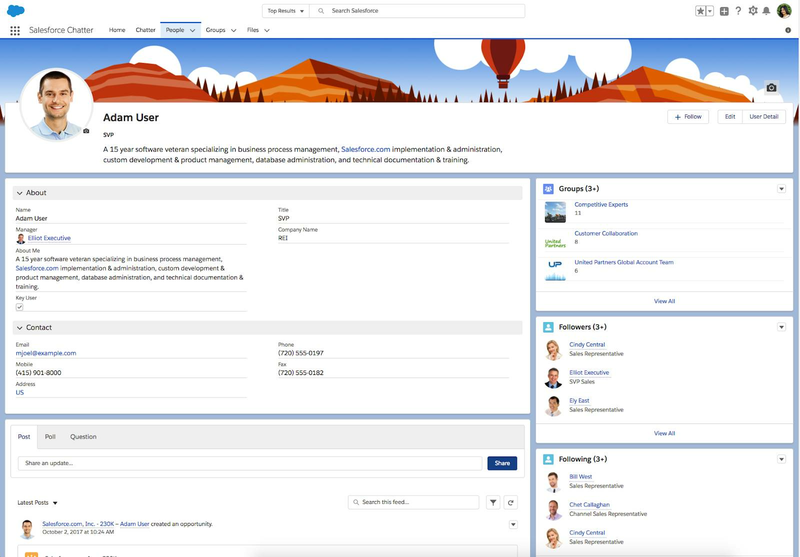 Salesforce groups hashtags as topics in Chatter, which displays trending topics on the right-hand side of the screen to help you stay on top of the things your teammates are talking about. Salesforce updates trend stats approximately every 4 hours so you can be sure trending topics really are hot. You can use hashtags to help sort posts into topic categories. Just remember that a tag must be used at least three times within the 4-hour period to qualify as a trending topic. The pace of life in a contact center can be pretty hectic, but new collaboration platforms like Chatter make it easy for agents to connect with their teammates and meet the customer service demands of a new generation of consumers.